What is Intervertebral Disc Injuries? The intervertebral discs provide cushioning between vertebrae and absorb pressure put on the spine. A disc herniation, by definition, is displacement of disc material beyond the normal confines of the disc space. 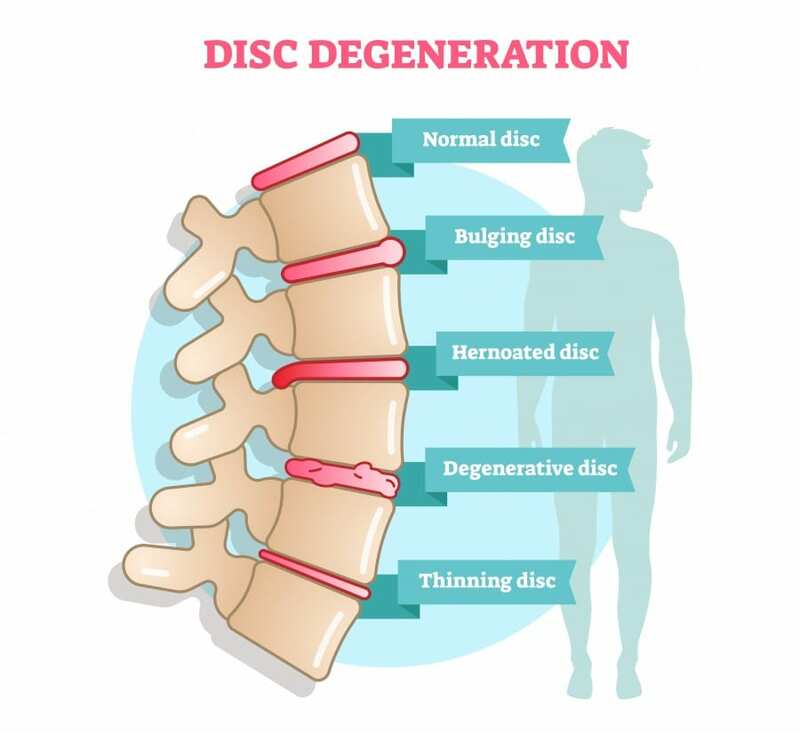 The terms disc protrusion, disc bulge, disc herniation, ruptured disc, and slipped disc all mean the same thing and imply that disc material has left the normal disc space. If disc material herniates, or squeezes out, this can put pressure on the spinal cord or spinal nerves. This can cause severe pain in the path of the nerve being pinched. Pressure against the nerve root from a herniated disc can cause numbness and weakness along the nerve.